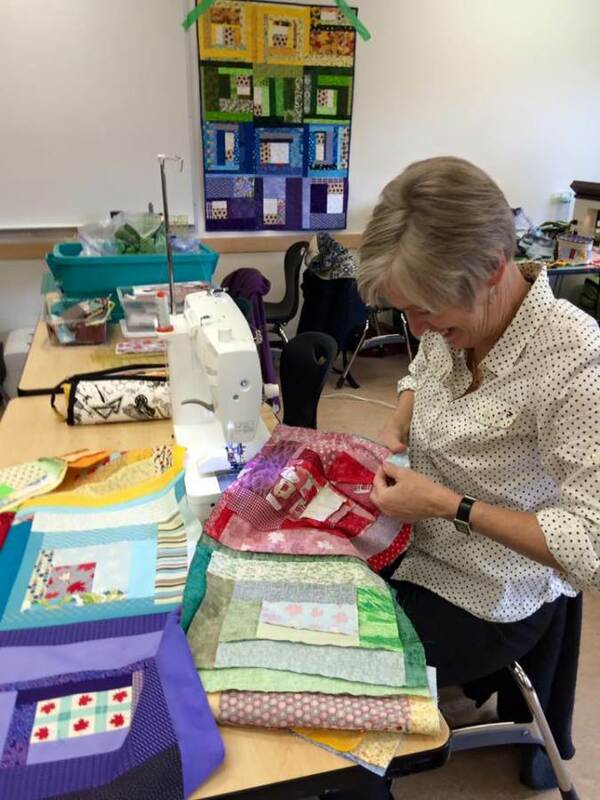 To celebrate Canada’s 150th birthday, the Canadian Quilting Association is inviting quilters to be part of Canada’s biggest Quilt Bee. 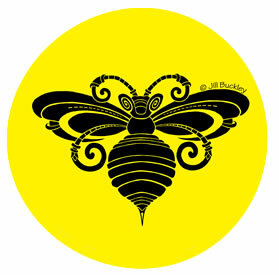 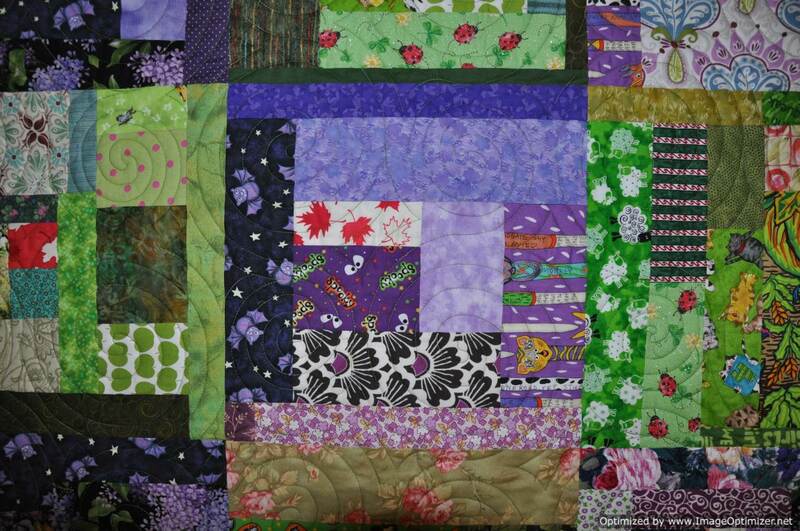 The Big Quilt Bee will be held June 14-17, 2017 at Quilt Canada 2017 in Toronto, Ontario. 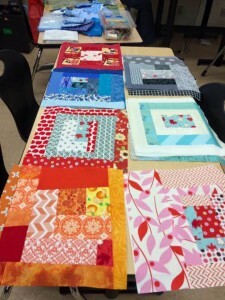 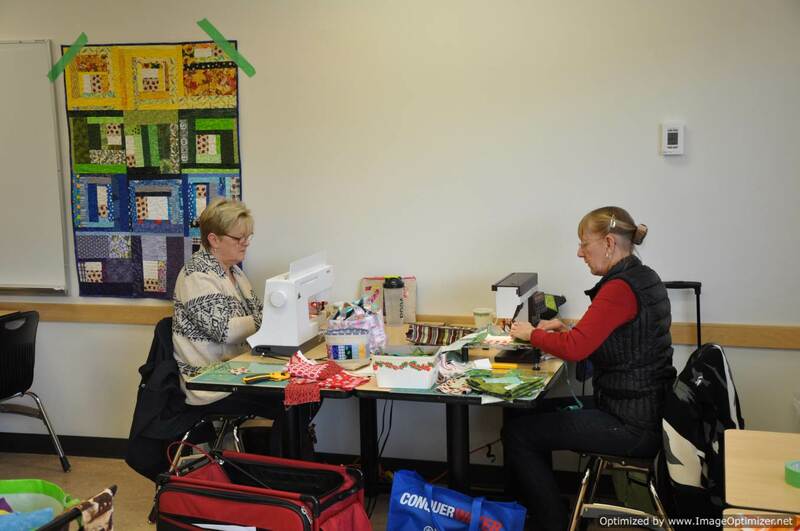 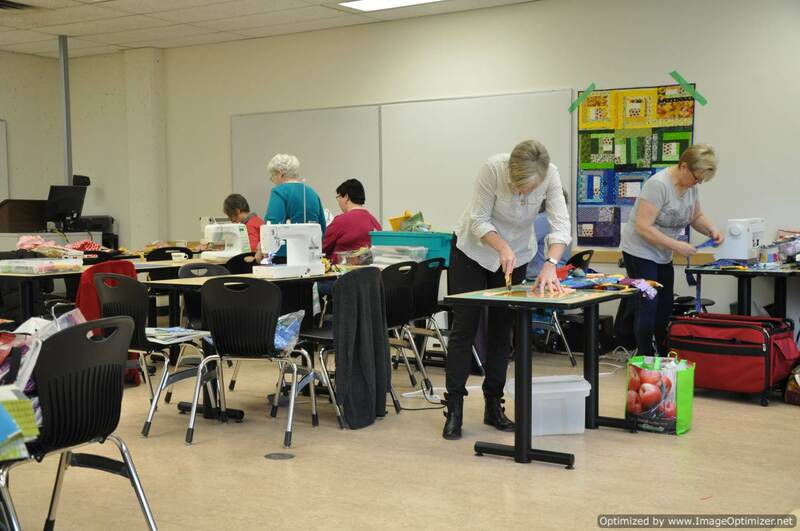 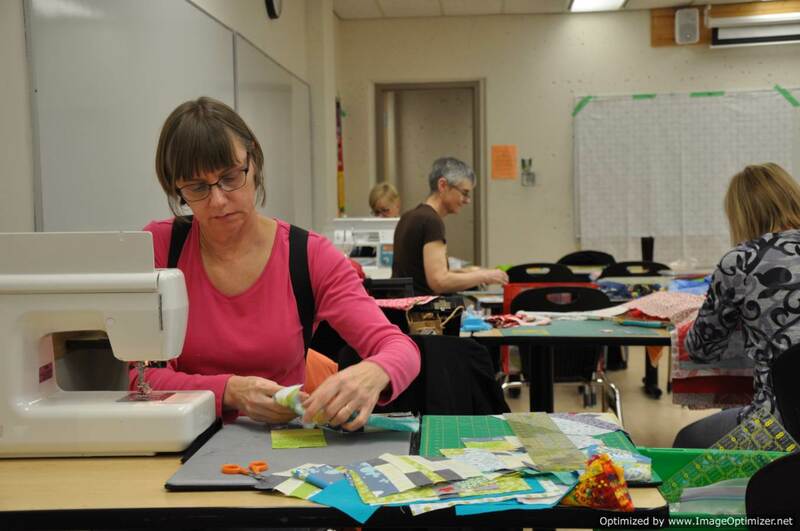 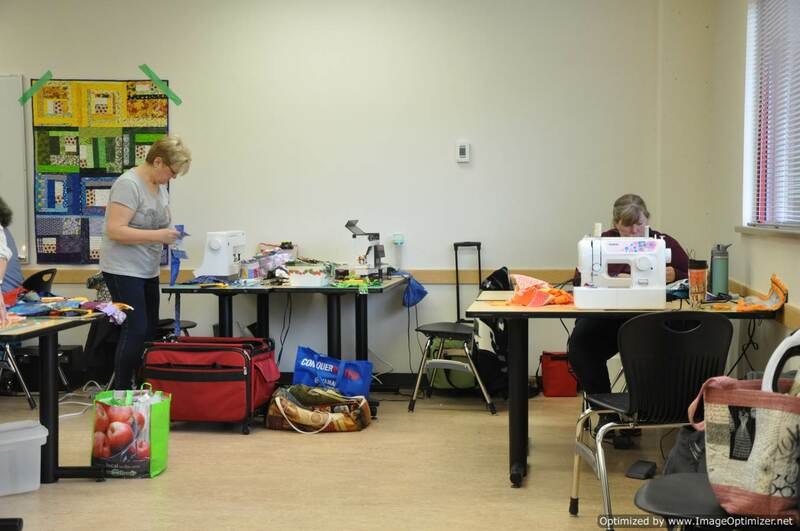 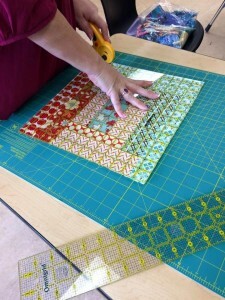 There will be sewing machines, long arms, mid arms and an army of volunteers ready to work on quilt tops and stacks of slab blocks that have been made and sent in by hundreds of Canadian quilters. 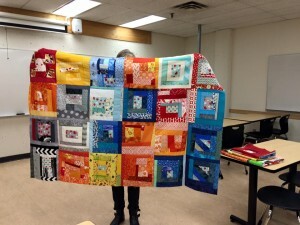 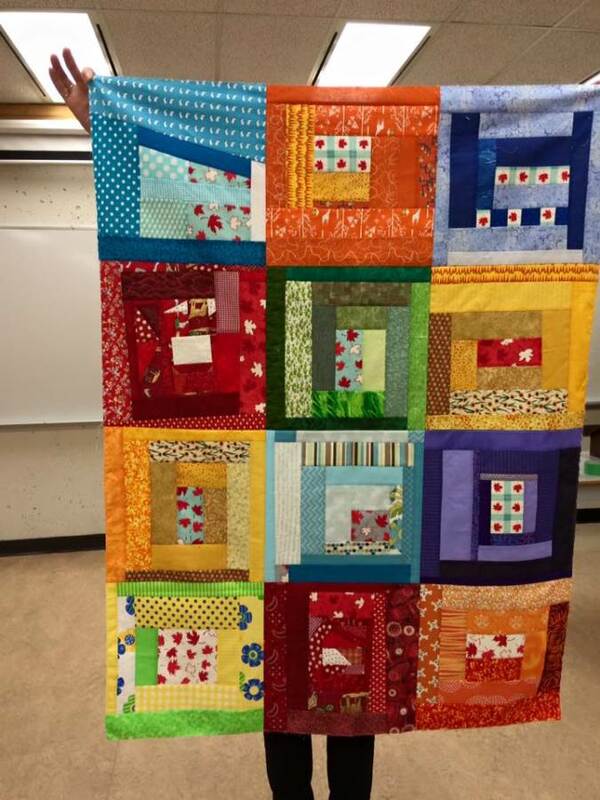 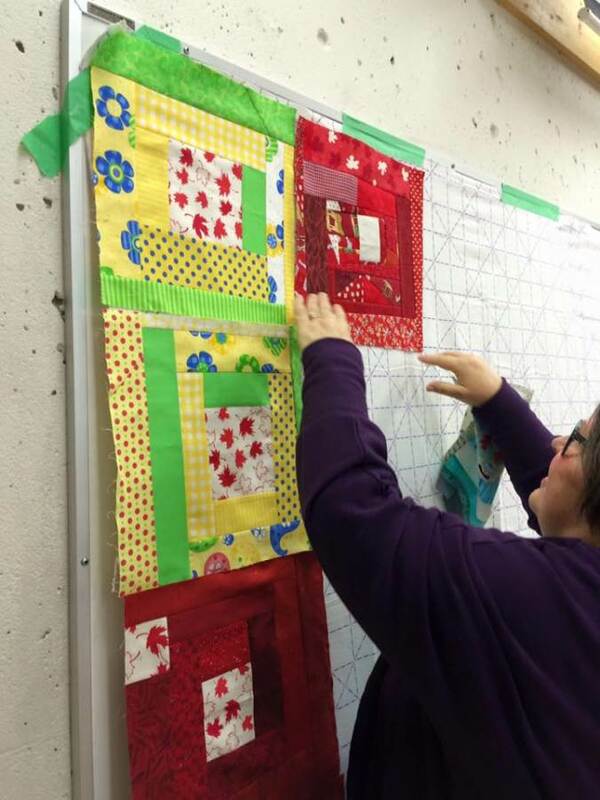 The goal is to make and donate 1,000 quilts for kids at Ronald McDonald Houses across Canada. 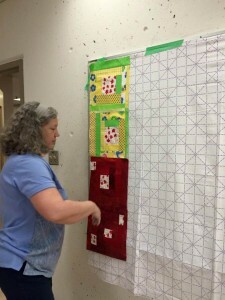 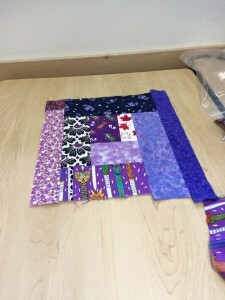 The blocks that are making up the quilts are 12.5″ slab blocks incorporating at least one piece of special Canada fabric that has been printed this year in honour of Canada’s 150th birthday. 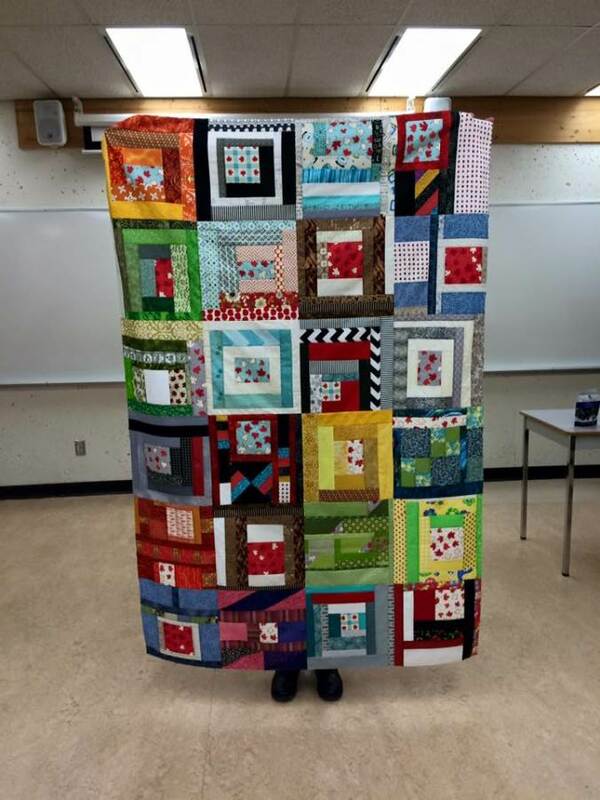 Slab blocks were made famous when Cheryl Arkison used ‘slab’ blocks in quilts for families who lost everything in the Alberta floods in 2013. 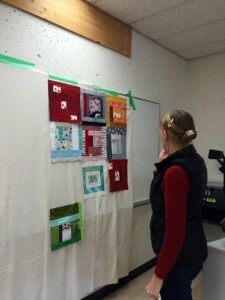 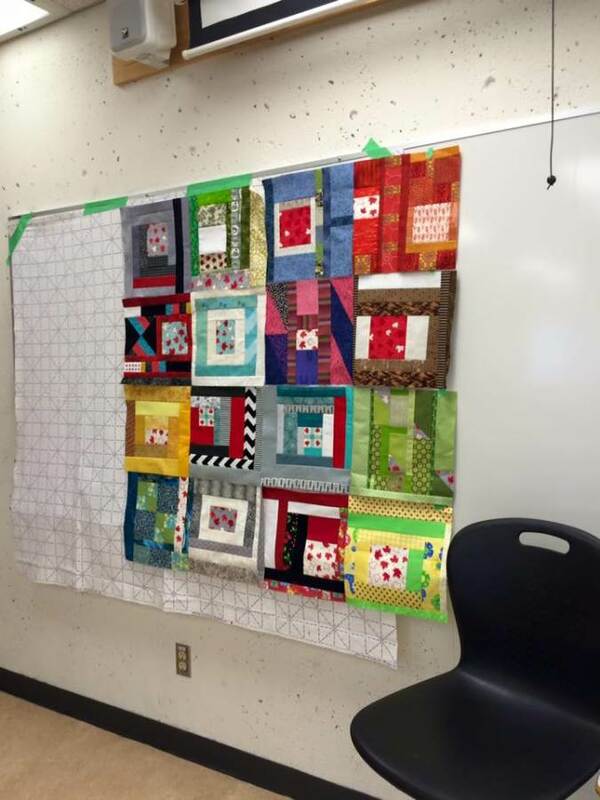 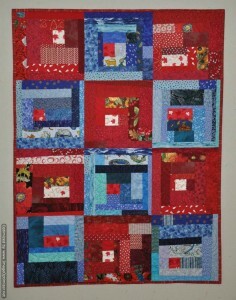 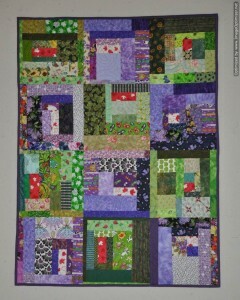 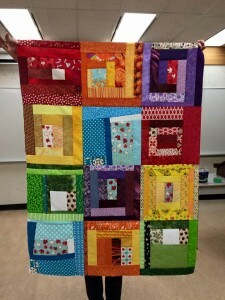 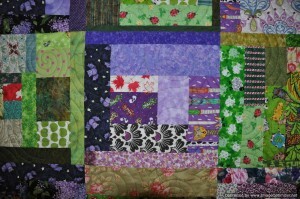 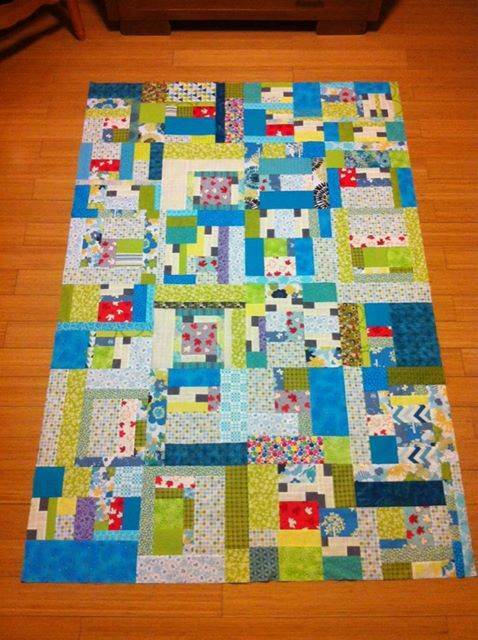 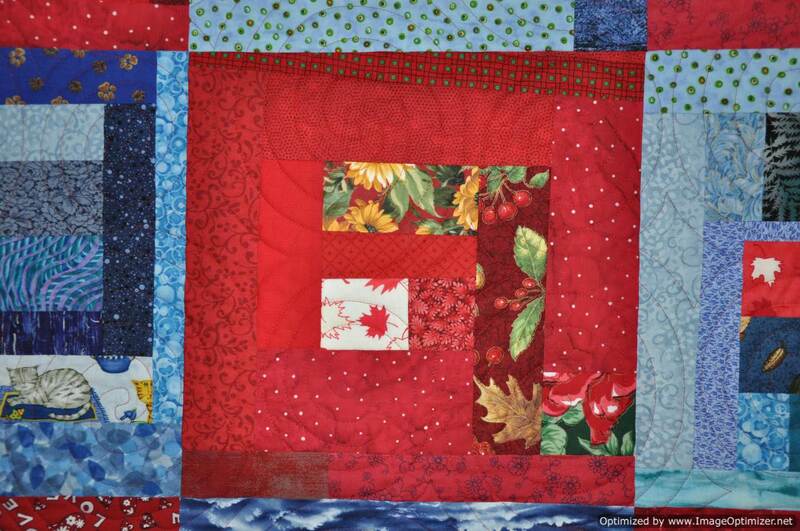 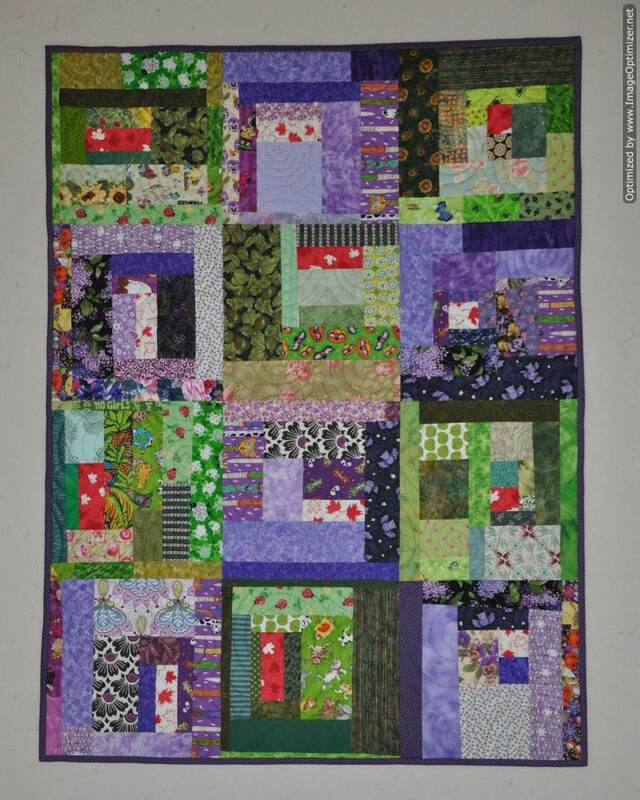 Now, with Cheryl’s permission, Canadian quilters are once again making slab blocks for a worthy cause. 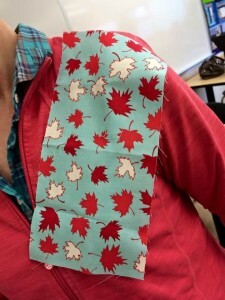 This is a piece of one of the special Canada 150 fabrics that can be used in these blocks. 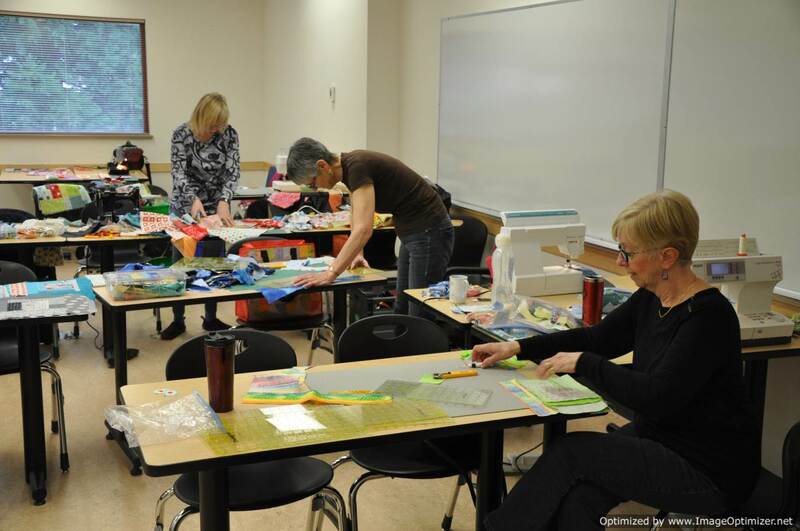 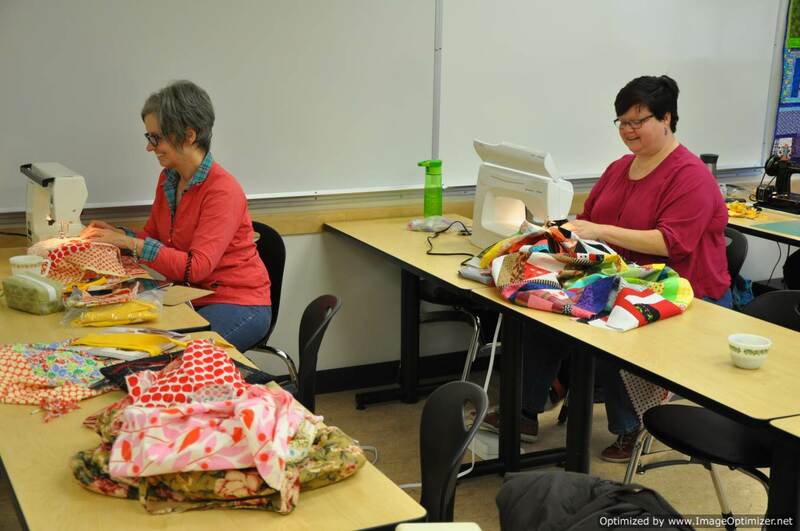 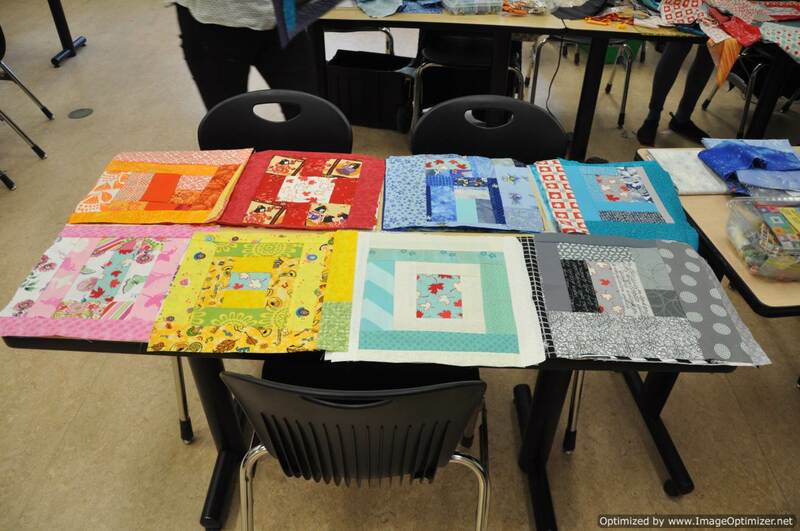 On January 21, 2017, the local university donated classroom space to our guild so that we could dedicate a day to making slab blocks and assembling quilt tops. 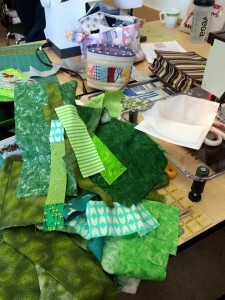 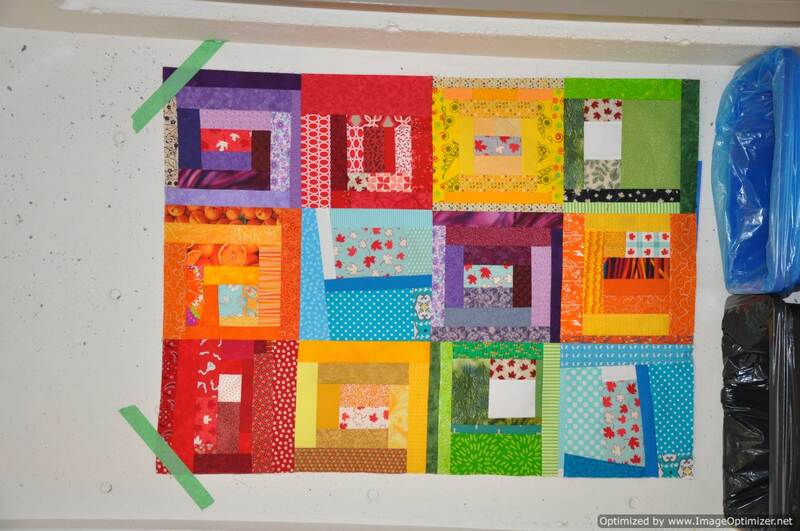 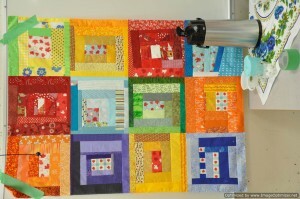 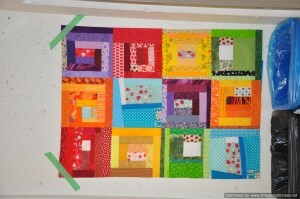 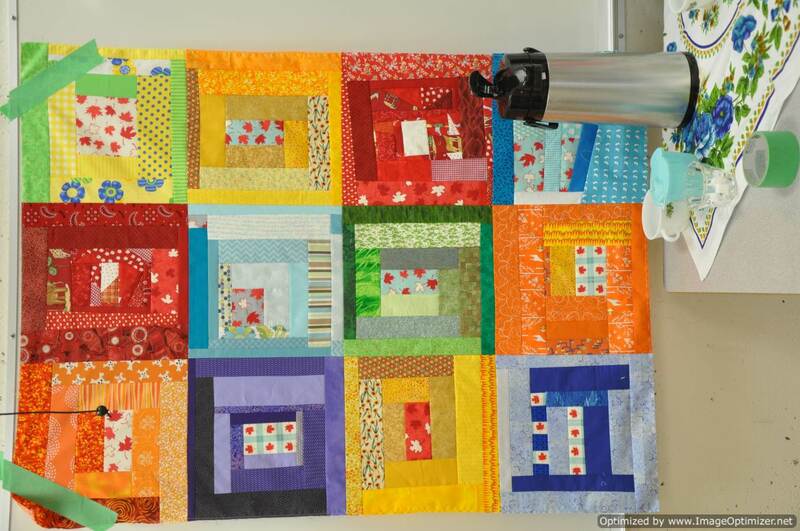 The room was a bee hive of quilters cutting, sewing, and pressing their scraps together into colourful blocks. By the end of the day we had a handful of completed tops and stacks of completed blocks. I took my slab blocks home and completed two quilts. 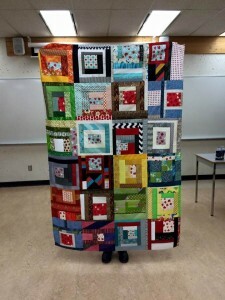 Last night at our guild meeting, everyone brought the quilts that they had finished to date for a group picture. 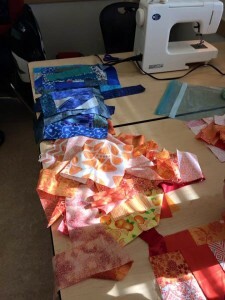 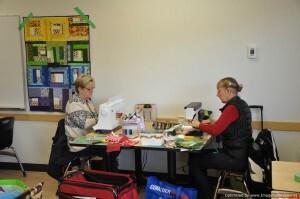 The Canadian Quilting Association is eager to hear how everyone is doing and anxious for us to report in as they are keeping a tally of the number of completed quilts towards the 1,000 finished quilt goal.